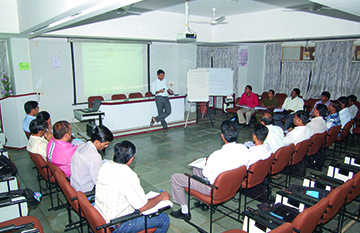 The participants have admired our training programmes, methodology, contents, quality and field exposure. Similarly, visitors have also appreciated our work and various aspects of the institution. 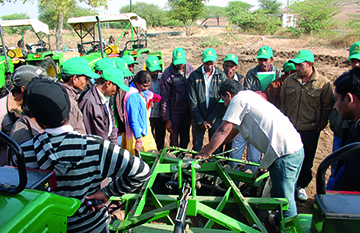 The group of 21 NABARD officers from 13 states visited Sadguru’s horticulture development activities (NABARD TDF wadi) in the field and interacted with various programme beneficiaries. They were very much impressed with the work done by the organization in remote tribal areas. 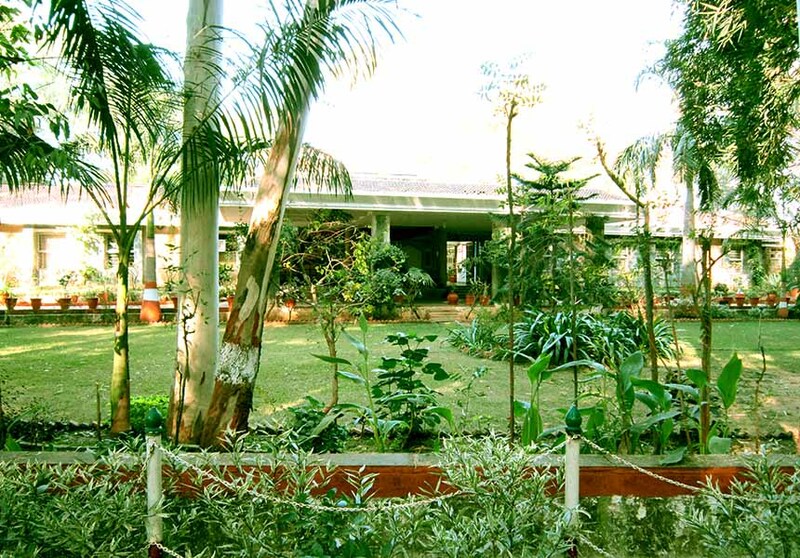 They told us that during the five days programme, they learnt both theory and practical and also unanimously told that Sadguru is a fantastic learning centre, well disciplined and self-governed organization. 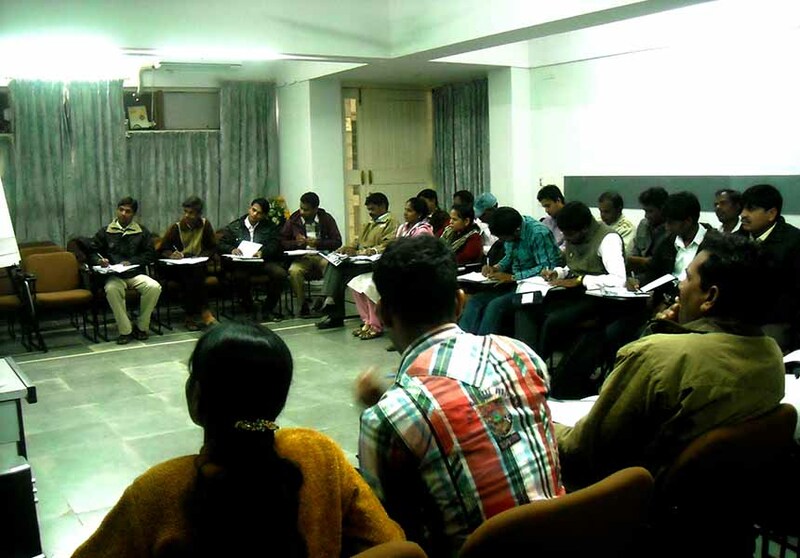 No other NGO can able to replicate such types of convergence of various programmes as Sadguru has done. (BIRD Lucknow, 9-13 February 2015). We visited the community-managed lift irrigation schemes and water harvesting structures in various villages of Banswara district of Rajasthan. Excellent technical work done by the Sadguru Foundation, besides this technical work, we are very much impressed that the community managed both the water resources structures themselves. Excellent work done by the organisation for rural tribal poor people. (Mr. Naba Krishna Haldar, West Bengal Accelerated Development of Minor Irrigation Project (Government Engineers), 23-25 Nov 2014). Sadguru had created magic by transforming lives of tribal people in its project villages. We have never seen like this before. 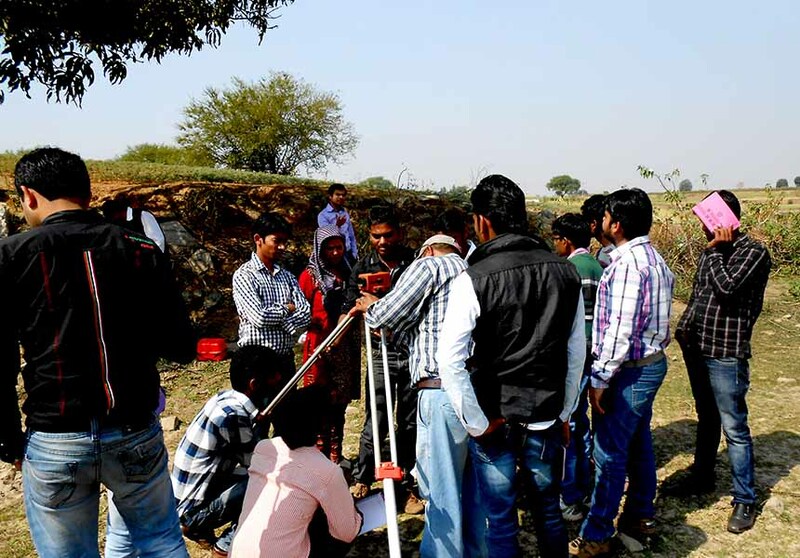 We visited sadguru’s integrated natural resources development activities like community- managed lift irrigation schemes and water harvesting structures, agriculture and horticulture development activities in various villages of Rajasthan and Gujarat. Technically sound work by the organization. Beside this, we interacted several programme beneficiaries, we found that they are benefiting from these activities and they can manage the activities themselves. Visiting with a team from University of New South Wales, Sydney, Australia, to develop collaboration with Tata / Sadguru Foundation and others in drinking water supply in Indian villages. Very inspired by the approach / philosophy / commitment of Sadguru Foundation staff to improve the life of the villagers. We have much to learn from colleagues here and look forward to working together to help improve the lives of villagers. Thank you for your peaceful accommodation and kind hospitality. I would like to be grateful for the role of Sadguru Foundation in rural development. The outstanding work done for the last 40 years has helped the people in the area to revitalize the natural resources. The activities of watershed, water harvesting structure and lift irrigation system reflect great work by Sadguru Foundation. 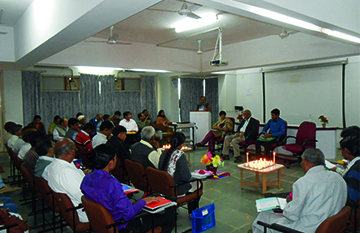 (Vaibhav B. Pawar, Swades Foundation, Mumbai, 17-20 December 2013). 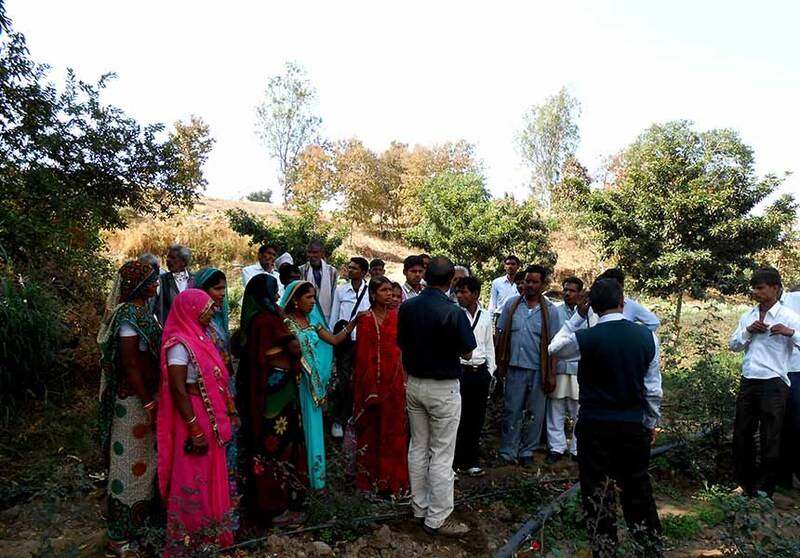 We visited Sadguru’s community-managed lift irrigation scheme and water harvesting structure at village Ranapur and interacted with the beneficiaries. We are very impressed that the tribal community managed the lift irrigation scheme since last twenty years. It’s really remarkable. The motto of the visit was to visit Sadguru’s horticulture development programme. As part of this visit, we visited horticulture orchard at village Randhikpur, trellis system at village Dabhada and floriculture plot at village Kamboi. Our objective of the visit is fully satisfied. We learned from this visit and will replicate in our area. Training on basic watershed development and management was quite useful to us. We learned about DPR, PRA and net planning and its importance in watershed programme. Field visit of various villages was quite useful to us. We have learned about how to communicate with village people in simple language to educate them about NRM activities and its benefits. “Training of Trainers” training program for four days was quite useful to us. We learned about the importance of participatory training, characteristics of good trainers and how to prepare training design and modules of the training and roles and responsibilities of a trainer in planning and organizing the training. We have acquired skills and knowledge as a trainer and we will use in our field to develop the capacity of community-based organizations of IWMP. We are impressed with the NRM work done by Sadguru Foundation in tribal areas especially on community managed lift irrigation schemes and water harvesting structure. We interacted with various village level institute functionaries like SHG federation, lift irrigation cooperative society and village watershed committee members and we observed that all the village level institutes were functioning very well. We also interacted the horticulture programme beneficiaries and found that in very short time, they earned ` 60,000/- in three months period from less than one acre of land. Besides this, we also observed that the infrastructure development in Gujarat in roads and electricity in tribal areas was very good. Sadguru project is the best example of government and non-government coordination in rural development. 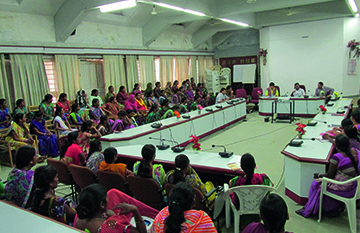 We are much pleased with the interaction with watershed committee and SHG members. We observed that committee and SHG members are very aware of the watershed development project and its benefit. Besides this, we also visited horticulture orchards and floriculture plots and we found that on a small piece of land the farmer earns a handsome income. We can replicate these activities in our areas. Excellent visit, it was amazing to see the on-site activities undertaken by the Foundation. We visited the various activities like community-managed water harvesting structure and lift irrigation schemes, horticulture and watershed development in tribal villages and interacted with programme beneficiaries. It was all done very efficiently and competently.